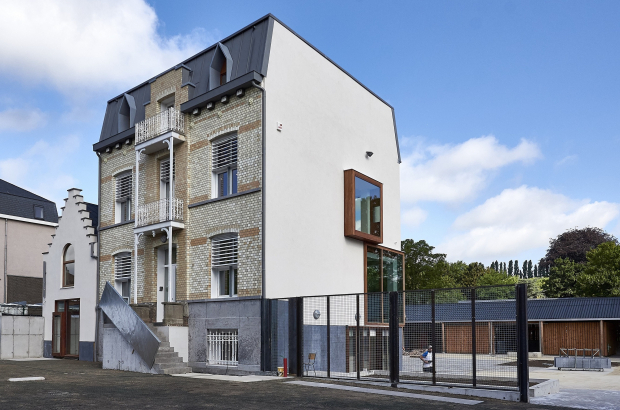 Number 997 Chaussée de Ninove, in the Brussels commune of Molenbeek, appears to be an elegant town house. Standing on a main road leading out of the city, its facade of creamy tiles rises three storeys to a mansard roof. Off to one side, there is a wing with a stepped gable.